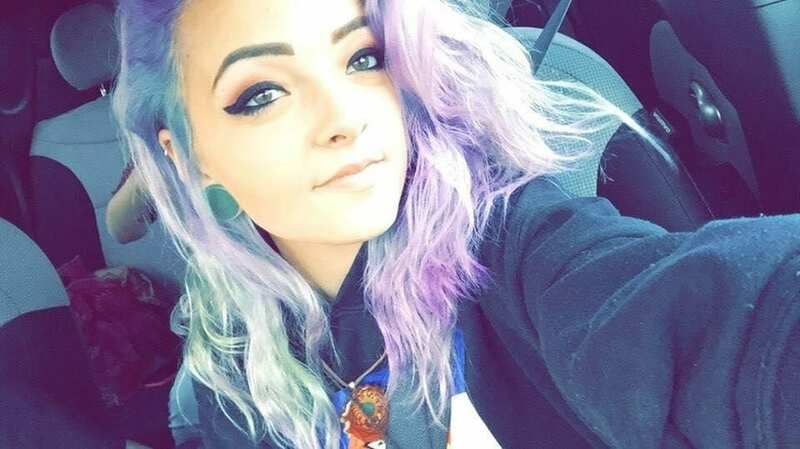 Natalie Marie Bollinger, 19, was reported missing on Thursday, December 28, 2017. She had last been seen leaving her Broomfield, Colorado residence and reported missing when her family had not heard from her later in the day. 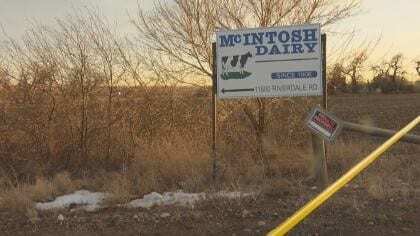 On Friday, December 29, 2017, a body was discovered in a wooded area located at 11600 Riverdale Road on the property of McIntosh Dairy farm in Adams County. By Tuesday, January 2, 2018, authorities identified the body as Bollinger. Cause of death has not been released due to the ongoing investigation. 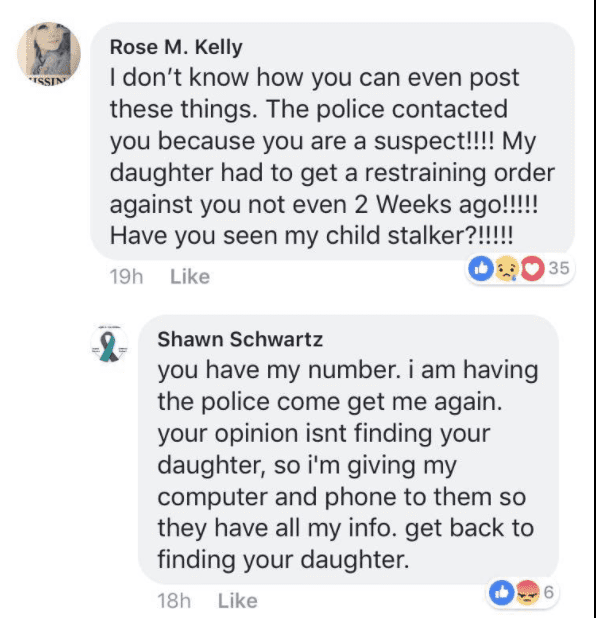 About two weeks prior to Bollinger’s death, she had made several posts on Facebook about a man who had been harassing her and identified him as Shawn Schwartz. On her Facebook status, she indicated she had met Schwartz about two years ago, gave him rides and went on to explain recent events. Bollinger goes on to explain Schwartz was harassing family and friends and slandering her on FB, asking others to ignore him. “Please ignore him . . . it only encourages him when he gets a response (Much like a child). He is mentally ill, and I am trying to fix this,” wrote Bollinger. 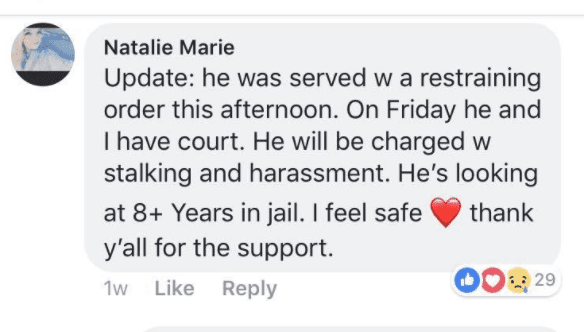 On December 22, 2017, Bollinger was granted a “restraining order” against Schwartz and posted she finally felt safe. A haunting reminder that, in fact, she was not. According to his Facebook profile, Schwartz attended Chappell High School in Chappell, Nebraska. 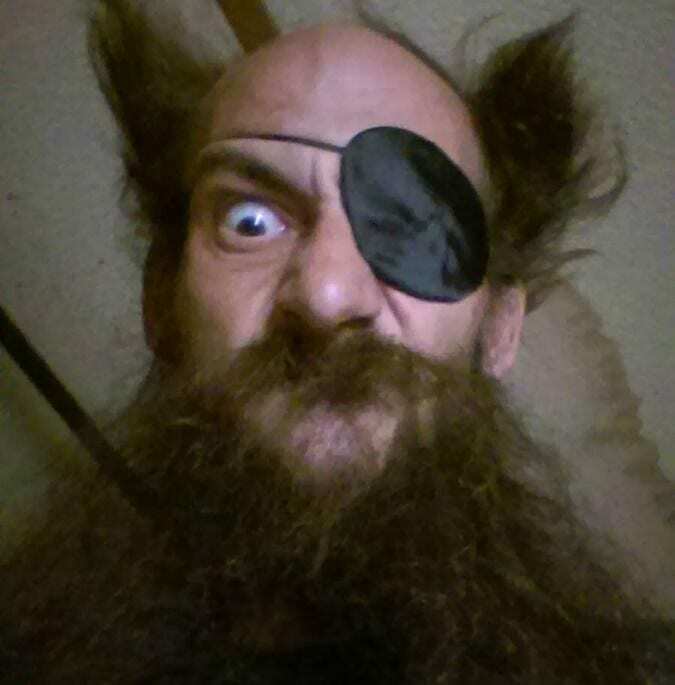 He also boasts he is “blacksmith” and makes his own hammers, anvils, mallets, and axes. Not much is known about his past. However, Schwartz has had his own very active presence on Facebook and YouTube. Considering Bollinger’s murder, many now find his ramblings and videos deeply disturbing. During the time Bollinger was missing, Schwartz posted on Facebook, asking people to help search for his friend (Bollinger). According to Bollinger’s posts on Facebook, she indicates Schwartz used multiple alias Facebook accounts to harass her. McIntosh said detectives have followed leads gathered from social media but cautioned social media can also lead to false conclusions. Clearly, police have proceeded carefully. Without mentioning Schwartz by name, when asked by reporters about the man who Bollinger had obtained a restraining order, McIntosh only said, “We have talked to him, but we are not ready to call anyone a suspect, but it’s certainly a part of our investigation. Schwartz had initially been questioned by authorities when Bollinger was still missing, and one post might have quickly drawn authority’s attention. According to Bollinger’s own Facebook posts, Schwartz used aliases. Posting as a possible alias of “Joanna Taylor,” it is believed Schwartz is posting about himself, referring to what a nice man he is, saying Bollinger may be dead but people need to stop blaming him. Schwartz also confirmed he was questioned by authorities, posting on his Facebook page, Schwartz talked about his time with investigators. He said he provided them his cell phone, computer, and a DNA sample, and ultimately he was let go. He did not specify if it was the Bollinger Police or Adams County sheriff authorities that questioned him. The fact is, until authorities say otherwise, as compelling as his statements and behavior has been, Schwartz remains only a “person of interest” and not named an official suspect. As the Bollinger death investigation continues, Schwartz was booked into Boulder County jail on Saturday, January 6, 2018, on unrelated charges. According to jail records, Schwartz was charged with second-degree assault, obstructing a police officer and resisting arrest when police were conducting a welfare check. 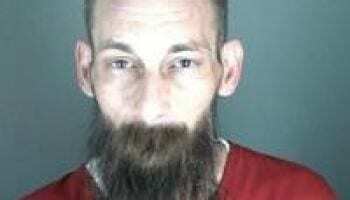 According to an arrest affidavit, Broomfield police were monitoring Schwartz’s Facebook page and observed some potentially suicidal references. Boulder police found Schwartz at St. John’s Episcopal Church at 1419 Pine Street, in Boulder. According to officers, Schwartz told them he missed “his friend” Bollinger and wanted to talk to her but could not because she was dead. Police convinced Schwartz to accompany them to Boulder Community Healths Foothills Hospital, but once there he began screaming at staff, trying to leave the room and not listening to staff instructions. At that point, Schwartz began kicking and biting officers who then arrested him and transported him to the jail where he was later released on a $5,000 personal recognizance bond. While Schwartz remains a compelling “person of interest” in the murder of Bollinger, he remains just that, a lead. While Bollinger was still missing, like other families of missing persons, the family used Facebook to search for her, distributing photographs and information. 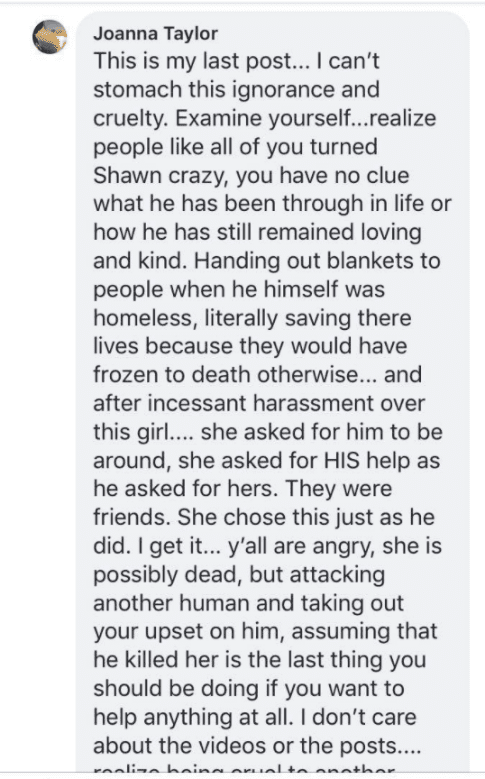 In addition, Natalie’s mother confronted Schwartz in a post that was followed by a disrespectful and deeply disturbing response. Natalie’s family is not only dealing with the trauma of losing their daughter to homicide, they are victims of an ongoing online assault by someone who threatened their daughter’s life. A person she feared. Now dealing with a parent’s worst nightmare, understandably the family is quiet. However, they did release a statement through Adams County sheriff McIntosh.